And then it happened, I´ve been charted in the distinguished RA 😉 but seriously, when things like this happen I jump around in joy. 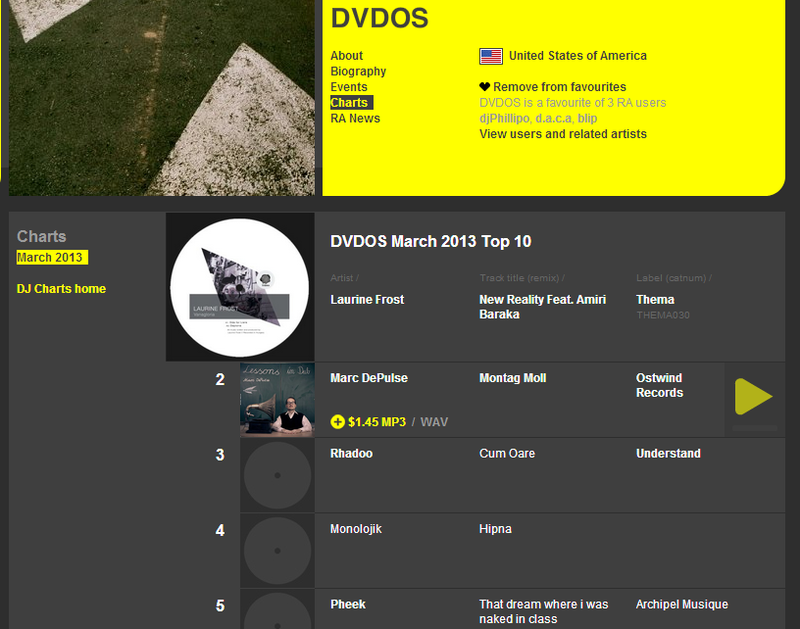 Check out the chart, these guys DVDOS (divididos) from the MNMLKTCHN crew in NYC play really cool music. Here a link to some of their music on Canadian site littlecity.